A fine place with warm and comfortable looking rooms. Hotel Relex is a charming hotel that has a multicolored external structure with light reflecting glass panels. The bedrooms at the hotel have light colored walls and dark wood furnishings with over head soft glowing lights, keeping the ambience of the rooms warm and cozy. The window lets in the sunlight making the room feel fresh and bright. The hotel provides its guests with free Wi-Fi and power backup so that they can remain connected with the rest of the social world. Other amenities offered by the hotel are a geyser, laundry and parking facilities. 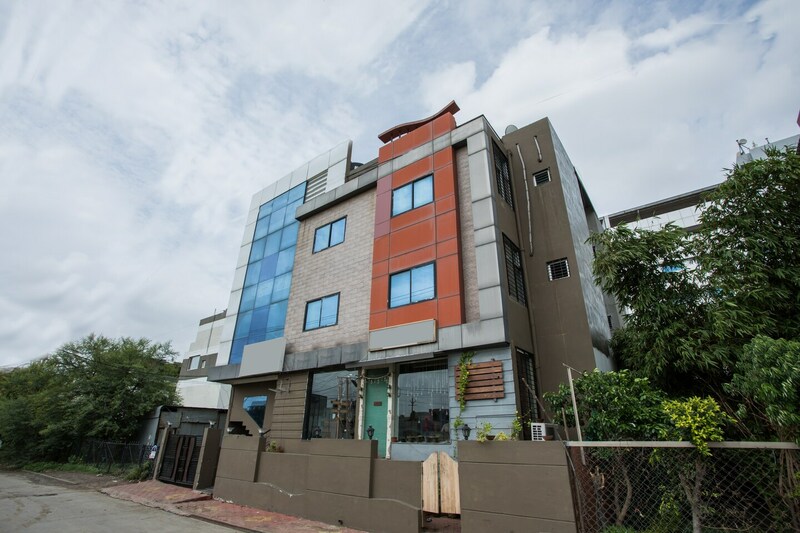 The property is close to C21 Mall and a lot of eateries.